Scutellaria Seoul Sapphire is a perennial with very neat foliage. 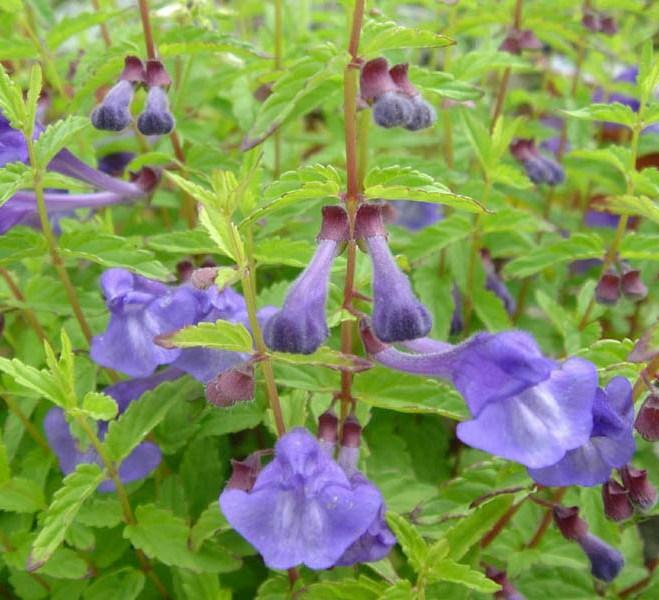 It produces masses of delightful small, blue flowers May to August. Perfect plant for the front of the border. 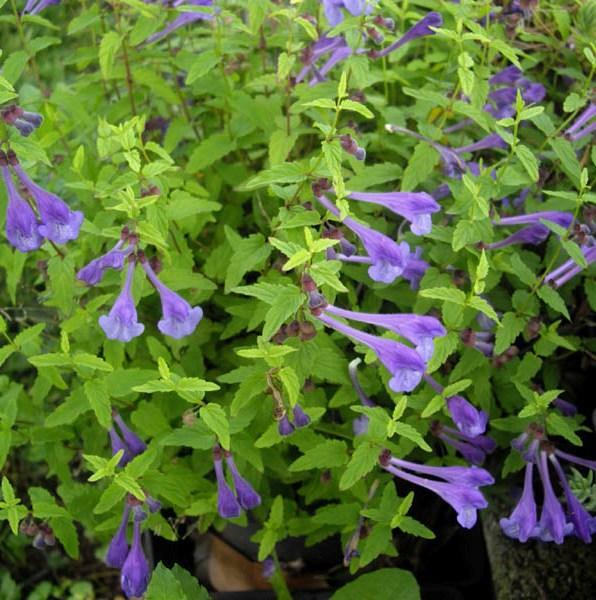 Prefers full sun or partial shade and well drained soil. Very hardy if kept out of winter wet soil. Height 0.20m, spread 0.40 m.